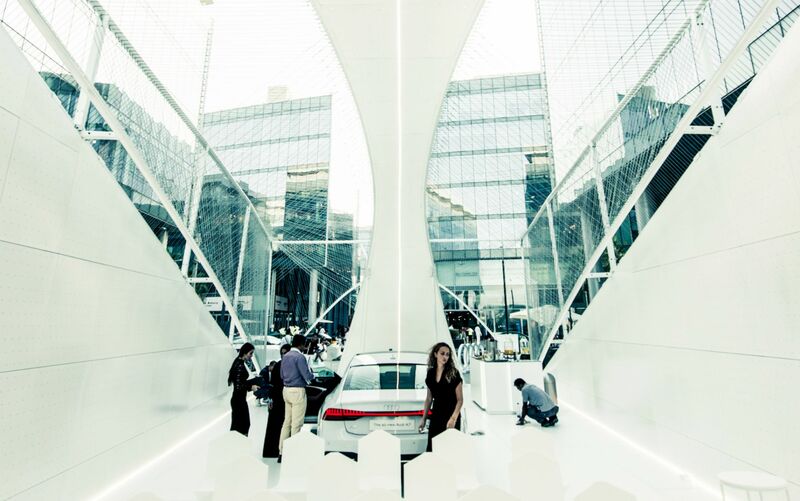 The Audi Innovation Hub, Designed by Dubai-based MEAN* (Middle East Architecture Network) will be the focal point for design innovation at Dubai Design Week 2018. 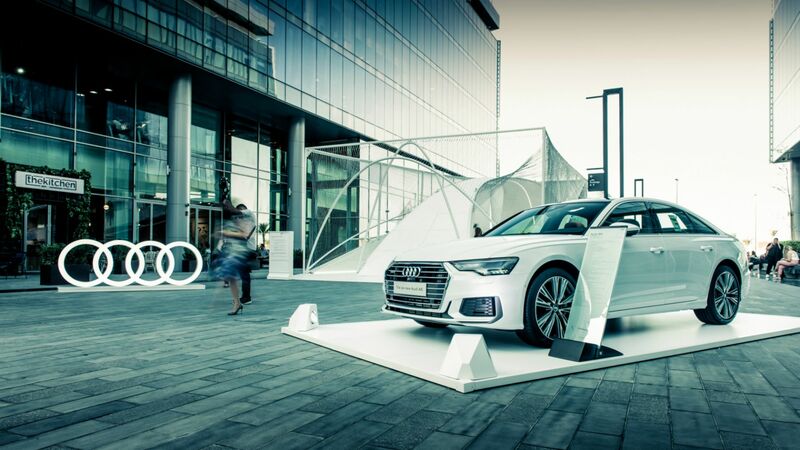 The space will provide the venue for the week-long programme of Audi Innovation Talks, showcase space for two of the latest Audi models and the winner of the annual Audi Innovation Award. 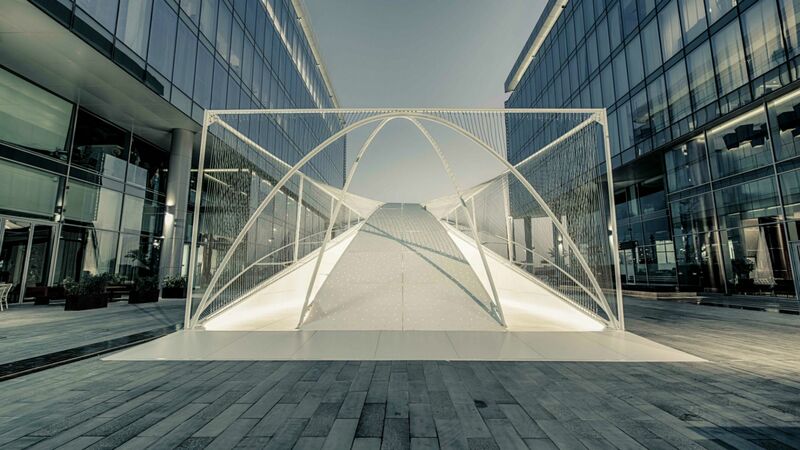 The hub structure, to be located between buildings 9 & 10 at Dubai Design District, has been designed by drawing on technologically driven processes with materiality as a key feature. 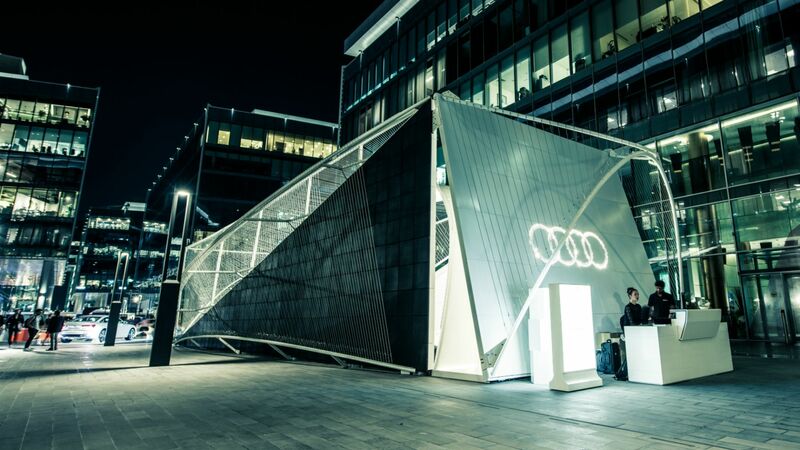 The brightly lit white lines contrasting with a black matte rubber surface, manufactured and supplied by Bee’ah, that covers the façade of the structure. 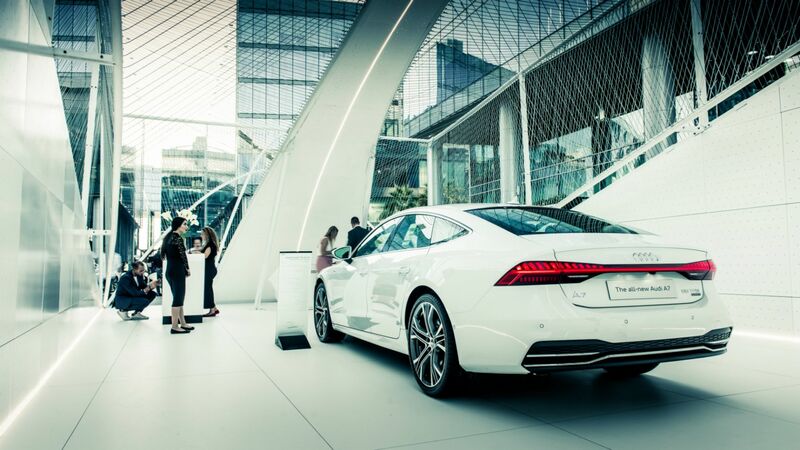 The material, made from reconstituted vehicle tires, has been recycled into an environmentally conscious and efficient building material. 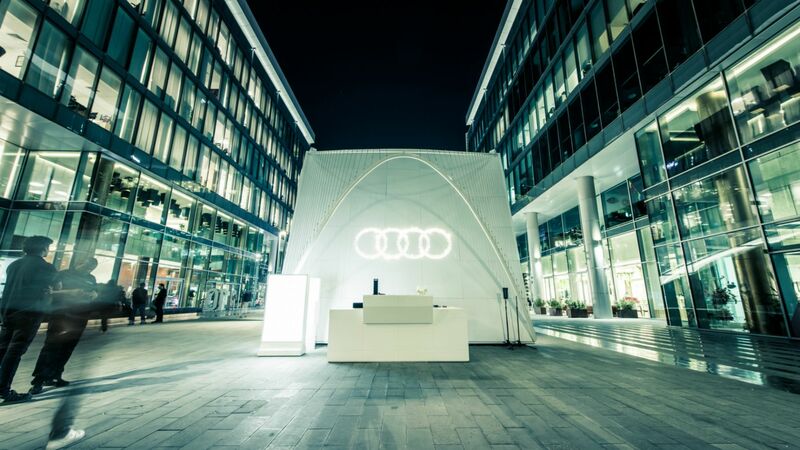 Audi commissioned MEAN*, an innovative Dubai-based architecture practice, to design the Hub to reflect their brand ethos of “Vorsprung durch Technik” or Advancement through Technology and to reflect the theme of this year’s Audi Design Award; connectivity. Starting with a line - the simplest geometry used to connecting two bodies - MEAN* envisaged a curved structure sweeping in space, bridging exterior and interior spaces. 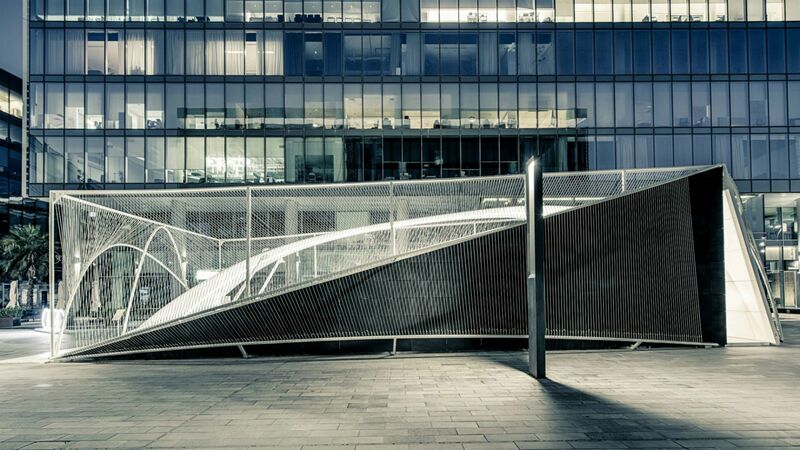 These straight lines rotate through weaving, overlapping and linking to generate dynamic, organic shapes and forms. 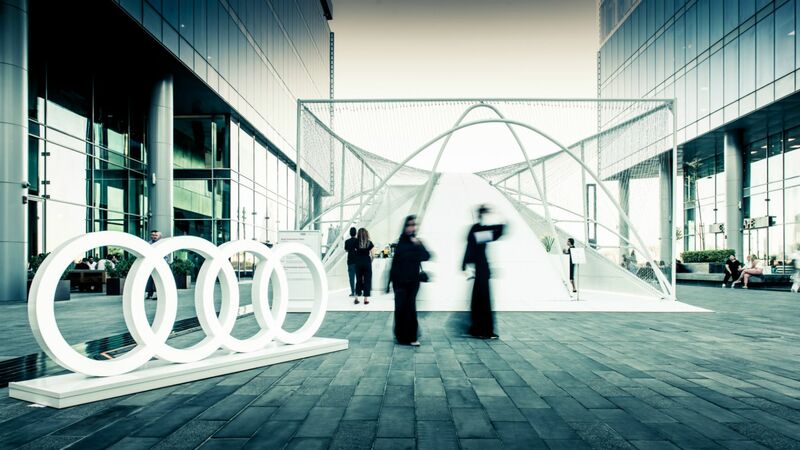 The structure will be a major activation during Dubai Design Week, providing a notable destination and source of inspiration, innovation and connectivity: The Audi Innovation Talks will feature leaders who are changing the world with ideas on design and technology, with the line-up including Riyad Joucka, Founder of MEAN* and Manuel Jiménez Garcia – Founder of pioneering 3d printing company Nagami whose furniture will feature in the Audi Innovation Hub.